GrantBook is excited to share two promotions on our team and extend an invitation to our community to help us find outstanding candidates for two senior roles. 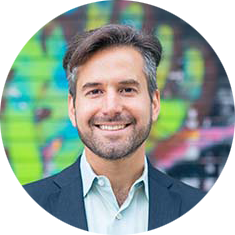 Peter Deitz will be serving as an active Board Member for the duration of these two transitions and will lead the formation of GrantBook's first well-rounded Board of Directors. Michelle has served as GrantBook’s Managing Director since Oct 2016. Integrating traditional business acumen and Theory U practice, she has contributed to GrantBook’s growth and the articulation of its strategic focus. We are thrilled that Michelle will be directing her 20+ years of management consulting experience to the important governance work that will help GrantBook reach a new level of sophistication and scale in its values-driven work. James has served as a Philanthropy Solutions Advisor and GrantBook’s Manager of Channel Partnerships since May 2016. Over the past two years, James has built strong relationships with GrantBook team members, clients and partners. As GrantBook's first Director of Partner and Relationship Development, James will join our strategy team and focus more of his time on helping our foundation clients and those who serve them achieve their goals. Over the past year, I have remained a Board Member of GrantBook and have enjoyed participating in workshops and staff retreats. For the duration of Michelle and James’s transitions, I will be taking an active role in the Managing Director and Board Member search, and will be contributing to the day-to-day work of GrantBook. I am honoured to have the opportunity to help recruit for such strategic roles and will be working closely with the rest of the GrantBook team to find talented and highly-motivated candidates. As GrantBook enters its 7th year of serving the philanthropic sector, we couldn’t be more excited to fill these roles with strong candidates who will add their own passions and areas of expertise to our work. Interested candidates can refer to careers.grantbook.org for more information and instructions on how to apply. Please join me in congratulating Michelle and James on their new roles. And if you have a lead on an outstanding candidate for the Managing Director or Board of Director roles, please don’t hesitate to reach out.